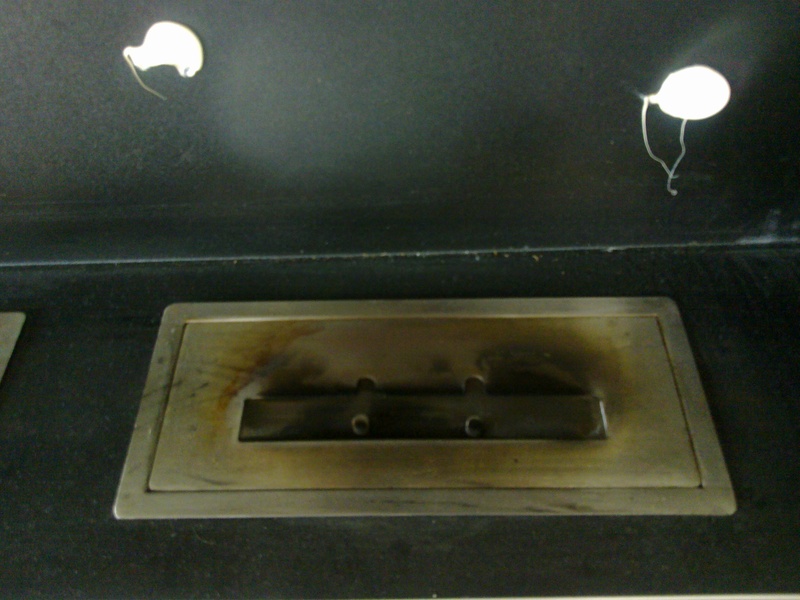 Your burner box is the heart of your fire, after month's of use it’s starting to look a bit like this? Their is something you can do about it. We recommend firstly cleaning the fire box with warm soapy water and a soft cloth. This gets the worst of the soot and residues off. After that clean the fire burner box with Part 1 from our cleaning pack, this will remove the tea stains and bring back the colour of the stainless steel. Use the scotchbrite abrasive cloth on tough stains but clean with the grain, not across or in circulars. Once you have cleaned the burner box to a new look seal the box with part 2 a light oil to keep the burner box protected from tea staining.